Shape structure is about the arrangement and relations between shape parts. Structure-aware shape processing goes beyond local geometry and low level processing to analyze and process shapes at a high level. It focuses more on the global inter and intra semantic relations among the parts of shape rather than on their local geometric details. With recent developments in easy shape acquisition, access to vast repositories of 3D models, and simple-to-use desktop fabrication possibilities, the study of structure in shapes has become a central research topic in shape analysis, editing, and modeling. A whole new line of structure-aware shape processing algorithms has emerged that base their operation on an attempt to understand such structure in shapes with an eventual goal of linking object functions to shape geometry. The algorithms broadly consist of two key phases: an analysis phase, which extracts structural information from input data; and a (smart) processing phase, which utilizes the extracted information for exploration, editing, and synthesis of novel shapes. In this course, we organize, summarize, and present the key concepts and methodological approaches towards efficient structure-aware shape processing. Targeted both at early stage graduate students to experts in shape analysis, we propose to discuss common models of structure, their implementation in terms of mathematical formalism and algorithms, and explain the key principles in the context of a number of state-of-the-art approaches. Further, we attempt to list the key open problems and challenges, both at the technical and at the conceptual level, to make it easier for new researchers to better explore and contribute to this topic. Our goal is to both give the practitioner an overview of available structure-aware shape processing techniques, as well as identify future research questions in this important, emerging, and fascinating research area. Basic background in computer graphics and particularly geometric modelling and processing. Working knowledge of data analysis and machine learning recommended but not required. Graduate students, practitioners, and researchers interested in shape analysis and, in particular, massive shape collections. 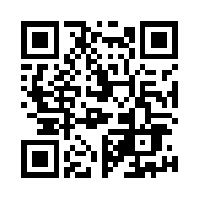 Please provide feedback on the course using this link or QR code.